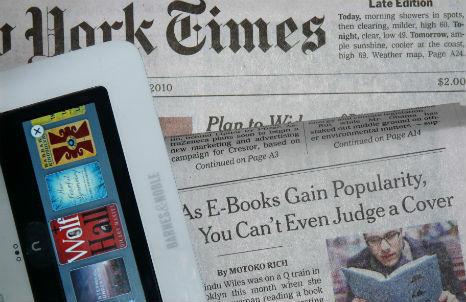 Former New York Times editor Jill Abramson has announced some headline-grabbing start-up plans. Her new media venture will be offering writers $100,000 advances, in return for the most explosive and engrossing long-form investigative journalism. According to a survey by Pew, 70% of people get their news links from Facebook friends rather than news sources. News has gone social and newspapers are having to adapt to survive. The latest is The Independent, whose little sister site i100 is like Reddit for current affairs. While printed newspapers may be losing out to online news and apps, a Mexican newspaper - Más Por Más - has found an innovative way to grab people’s attention. It rigged paper towel dispensers to print breaking news every time someone tore off a sheet to dry their hands. As cable news viewership gives way to YouTube channels, how does the The Young Turks reflect the new ideals and demands of its progressive young viewers?